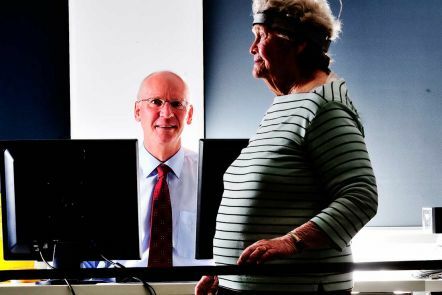 Program leader Professor Graham Kerr founded and leads the Movement Neuroscience Research group at the Institute of Health and Biomedical Innovation, which enables multidisciplinary clinical and research programs in ageing and neurodegenerative disease. Most injuries requiring hospitalisation in Australia happen as a result of falls, car crashes, sporting and recreational activities, interpersonal violence and in work settings. Our injury prevention program is committed to preventing injury and promoting optimal rehabilitation. define policy that encourages appropriate responses within industry and the community. The injury prevention program has successfully evolved into a number of groups and centres. The Centre for Accident Research and Road Safety - Queensland (CARRS-Q), established as a joint initiative between the Motor Accident Insurance Commission and QUT, operates within the program and has become fully self-sustaining. The program will continue to build groups, such as the sleep and neuroscience group, to strengthen our capabilities as a leading program at IHBI and to facilitate the transfer of knowledge between researchers. The executive committee works to create links with areas of similar research within our program, our institute, our university and with external groups to expand our research capacity, improve access to funding and ensure that research is translated into practice. Each member provides valuable knowledge and expertise from their field of research and represents the diversity of interests in injury prevention at QUT. They have a keen interest in furthering research and collaborations in their respective areas and organise development meetings of interested people throughout the year. promoting our research within IHBI and through extensive partnerships with professional and broader communities. The 'CARRS-Q Work Related Road Safety Program: The challenge to change' is designed as a commercial research behaviour change intervention program. The intervention program has a primary aim of improving the work related road safety of organisational drivers. This program encourages participants to explore some of the dangers associated with driving for work in conjunction with examining their own driving behaviour within their own organisational setting. The program culminates with an overall evaluation of the impact of the intervention on work driving safety. This project provides a comprehensive summary of the quad bike-related injury pattern and trends in Queensland, highlighting in particular those that occur in a work/farm context as distinct from a recreational context. This study examined factors involved in cases that occurred in a recreational context and those incidents which involved children. An understanding of such factors will provide important insights which may inform future work in relation to potential safety campaigns. This multidisciplinary project will enhance the safety of roadworkers by providing practical and theoretical contributions to inform and provide direction at industry and academic levels for developing effective interventions/strategies to improve safety in road construction. A seven-year health program that aims to review the current occupational health and safety (OHS) systems and practices, develop a whole of company framework for OH management, implement intervention strategies targeted to health and injury priorities, and achieve measurable and sustainable health outcomes.